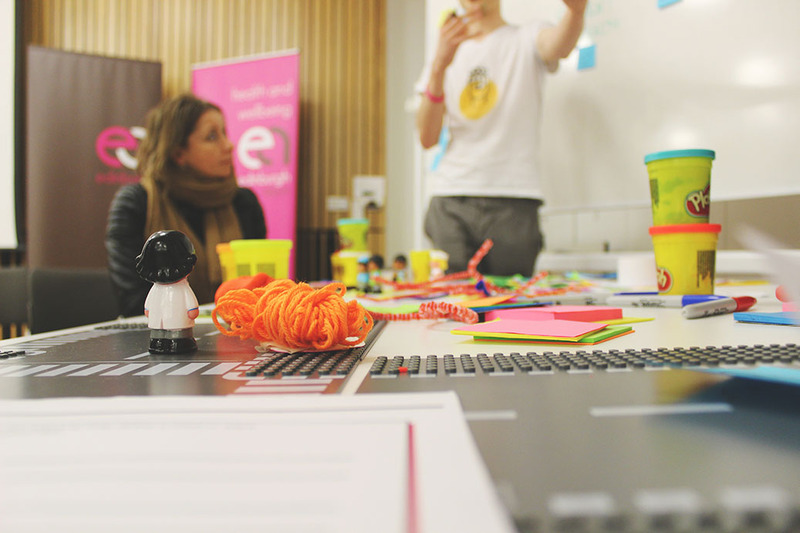 We’re working with our new friends at Cancer Research UK to evolve their service design capabilities to place design at the core of the organisation. When I first met Snook ten years ago as a wide eyed university student, our tagline read ‘transforming people’. Ten years later as we embark on a new project with Cancer Research UK (CRUK), I thought to revisit what that statement means and why people are so crucial to good service design. We know organisations are ‘in flux’. We’re all constantly adjusting to the pace of change and the realities of digital. 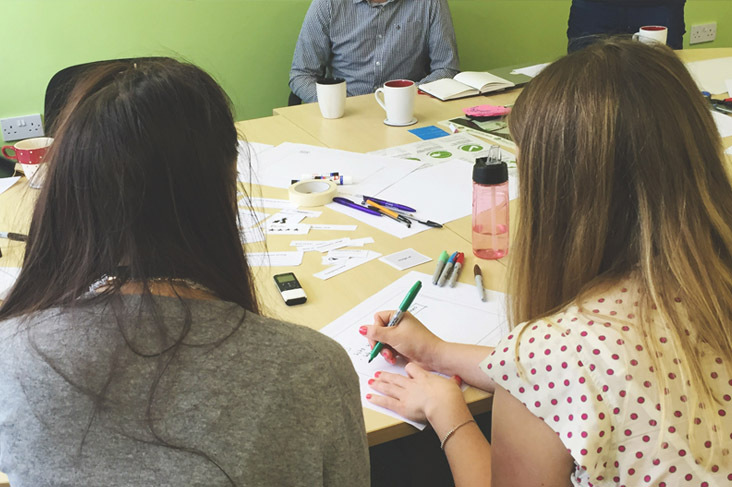 We believe user centred design to be the best approach to address new organisational needs. Fair enough from an agency perspective, but internally, to do ‘design’, staff of organisations like CRUK need to have the right skills, confidence, and support to shift and evolve their capabilities. Important to building these capabilities is the environment in which they’re being adopted and the willingness of an organisation to open its arms. We’re working with Cancer Research UK to support the Technology Directorate in evolving their Service Design capability, which is crucial to their strategy. Over the next weeks we’ll be working with the Design, Delivery, and Change team within the Technology Directorate. 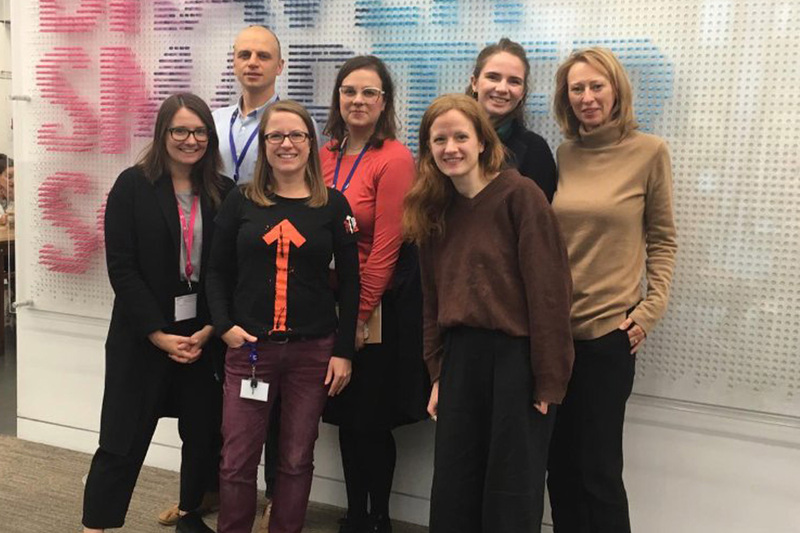 For the past two years, this team has been at the heart of the charity’s digital transformation journey – and a lot of Service Design has happened on the way. 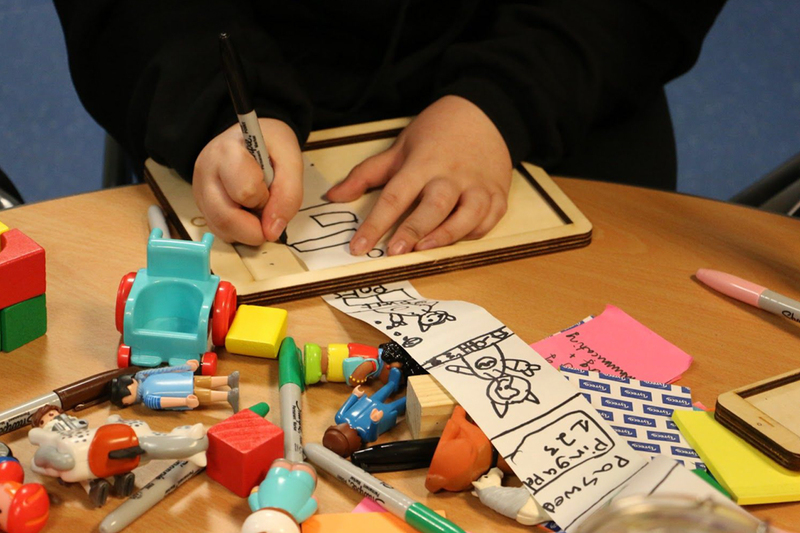 But with the ambition of the team growing, we will observe their existing capabilities in Service Design and the work they have so far in this space, so we can co-create a strategy to build further on their skills and experience. 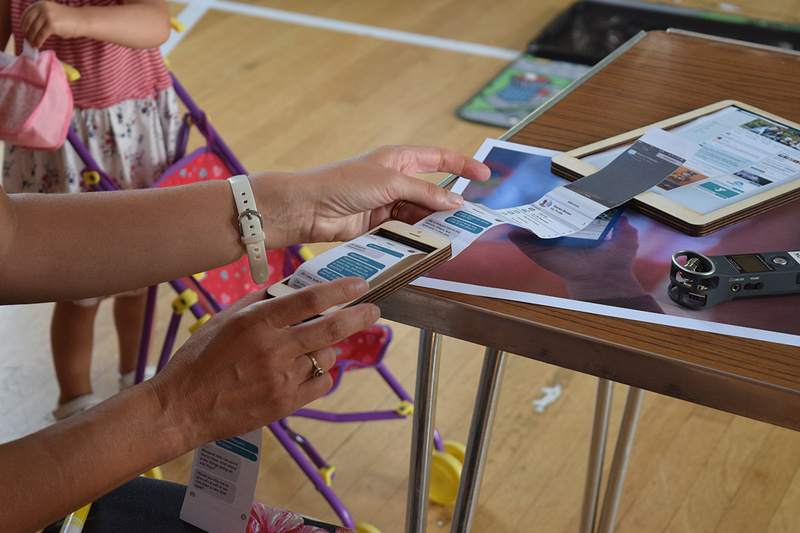 Step by step we will build a narrative around the impact of user centred design. Through this, we will co-create a training and mentoring programme to get the team where they want to be, within the context of the organisation, to create something that works for Cancer Research UK. We’ll address this challenge across three domains: organisation, projects, and people. We’re freeing ourselves from over planning as we learn and importantly, get to know the team we’re working to support. I’m imagining lots of frank chats, cake to support creativity, and cups of tea. It’s getting cold outside, which presents a good opportunity to hunker down and dish it out. The conditions we create to facilitate these conversations will be key. We’ll be sharing lessons and learnings of this work openly and honestly in a series of blog posts. We hope our commentary and reflection will be relevant to any organisation or individual curious in adopting human centred design. As we kick this off, I want to thank the team at CRUK in advance for being so open and for sharing their vulnerability in exploring how we build capability and skills. Follow @giuliavmerlo and @curiousc for their stories and perspective as we reflect on this process together by #workingintheopen. Our community starts here, so please follow along and pipe up if you have anything to say. When there is a short amount of time to protoype, how can you work together, and really speedily, to make it happen? 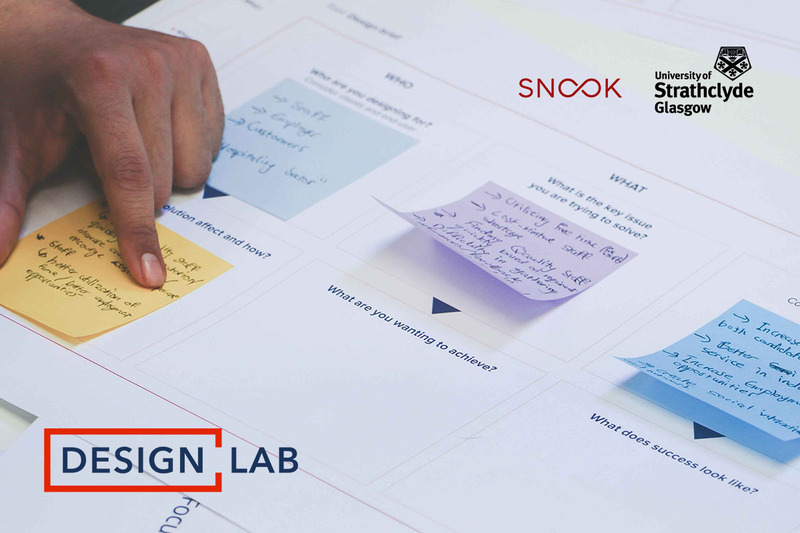 Snook is launching a new design lab module as part of Strathclyde University new Masters in Entrepreneurship, Innovation and Technology.